Be it your first home or investment, this home will tick the boxes. 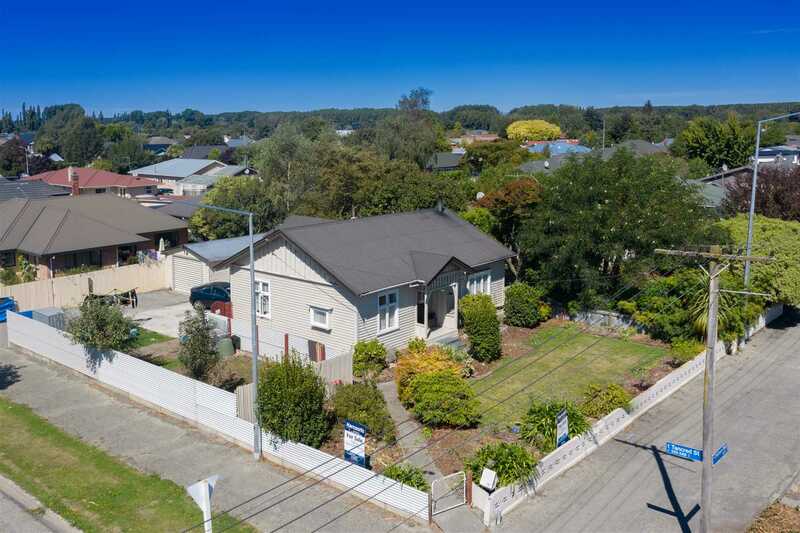 Only a stone throw from Ashburton township this decent sized corner section ensures plenty of outdoor living space, has a single garage and off street parking. Complementing this great three bedroom family home is the ever practical kitchen, so you have enough room to cook up a storm. The open plan lounge and dining benefits from a log burner as well as a heat pump and with Winter on its way you will enjoy the warmth. Don't delay, call now to view. Saturday 27 Apr 2:30 p.m. - 3:00 p.m.
Chattels remaining: Blinds, Fixed floor coverings, Light fittings, Stove, Curtains, Drapes. TV aerial. Heat pump and remote. Red and yellow wheelie bin. Dishwasher. Fixtures/chattels excluded: Lemon tree by front door.